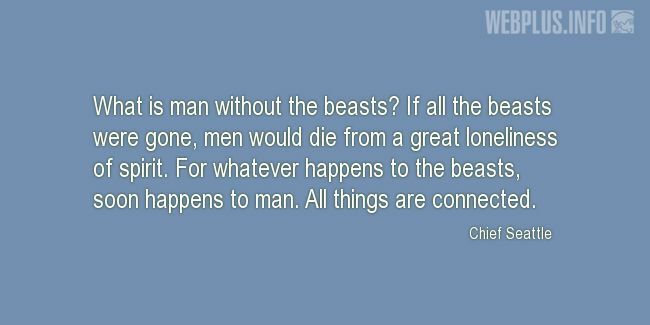 «What is man without the beasts?» illustrated quotation. Species diversity, free quote pictures for Facebook, Twitter, LinkedIn, Reddit, Pinterest and other social networks. What is man without the beasts? If all the beasts were gone, men would die from a great loneliness of spirit. For whatever happens to the beasts, soon happens to man. All things are connected.